Kevin E. Regan is now a registered patent attorney, after passing the United States Patent and Trademark Office’s registration exam in July. This certification allows Kevin to work with specialized litigation before the USPTO, assist clients with patent applications, and increases his value in the patent litigation context. Kevin has a technical background in biology and environmental science. In addition, his significant experience with federal administrative law makes him uniquely qualified to pursue novel approaches to protect patent owners’ rights at the USPTO. Kevin has a broad range of legal and regulatory experience from his fourteen years as an attorney in private practice and government service. 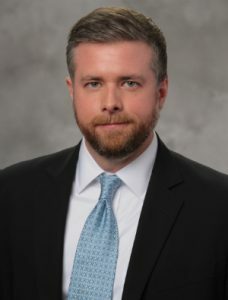 He assists alcoholic beverage and intellectual property clients with patent litigation, trademark registration and disputes, and other legal and regulatory issues. Kevin was previously a Trial Attorney at the U.S. Department of Justice in Washington, D.C. in the Environmental and Natural Resources Division. He also worked as a litigator at Earthjustice (an environmental non-profit litigation firm) in Seattle and clerked for two years for U.S. District Judge Jose E. Martinez in the Southern District of Florida.